City of Vaughan-Firefighter Recruitment | Ontario Fire Administration Inc.
You must have valid certificates for Stages One, Two, and Three to apply to the City of Vaughan. The posting closes December 21, 2018. Questions regarding the City of Vaughan recruitment process should be directed to Vaughan. The job offers challenging work, continuous learning and opportunities for advancement in a professional work environment. Upon successful completion of training, you will work under the supervision of Senior Officers to combat fires, perform rescue work, administer first-aid, conduct public education programs, and inspect buildings for fire hazards. You will operate as well as maintain firefighting apparatus and equipment, including fire stations. 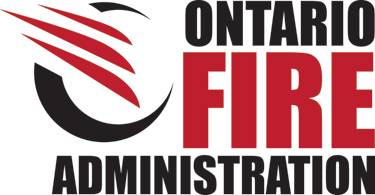 Possess a valid Ontario Fire Administration Inc. (OFAI) Candidate Testing Service certificate, including Stage One, Stage Two and Stage Three. Certificate must be valid at time of application and job offer. Please visit www.ofai.ca for more information. OFAI does not submit candidate certificates or applications to the City of Vaughan. Each candidate is responsible for and required to submit their application directly to the City of Vaughan. Please ensure that you have all the minimum requirements prior to submitting your application on-line, and that all of your certification cards/certificates are available when applying. You will be required to download a cover letter, resume, and copies of all cards/certificates as one document when you apply. Selected candidates will be required to provide proof of/original certifications, training, etc. Selected candidates from the short list will be given job offers, conditional on available vacancy. Resumes will be kept on file for 6 months and then deleted from our system. You must reapply after 6 months. Please click here to apply online by Friday, December 21, 2018. Applicant information is collected under the authority of the Municipal Act, 2001 (S.O. 2001,c.25) and will be used to determine qualifications for employment with The Corporation of the City of Vaughan. Questions about this collection should be directed to the Director of the Human Resources Department, 2141 Major Mackenzie Drive, Vaughan, ON, L6A 1T1, (905) 832-8585.